These versatile hoop earrings from Roberto Coin are both easy-going and elegant. 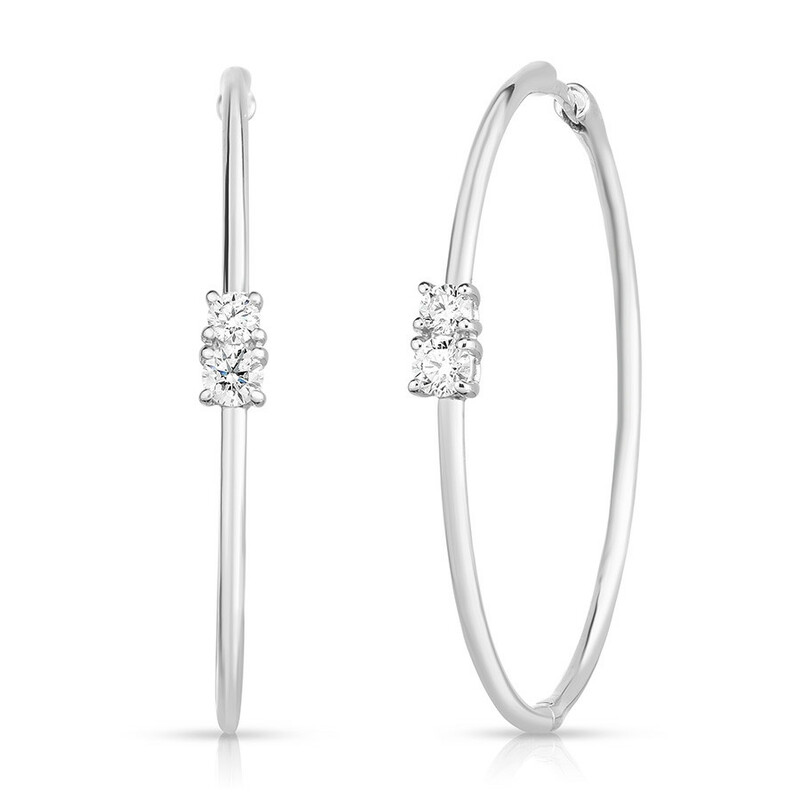 Crafted in 18K white gold, they each feature a pair of diamonds set in four prongs, elevating the sleek, smooth hoops. The marvelous-looking Roberto Coin earrings are multi-purpose, whether accompanying you on casual outings or more formal events.